Many of you will know I lost a friend & colleague this year. It kind of defined my whole 2017 to be honest. There was pre Sharon passing away where we thought we had time for her to teach me everything she knew and then there is post Sharon passing away where we are still finding things that she did for other people and didn’t tell anyone. She is getting blamed for a lot of things to be honest! But her passing, at the age of 48, has definitely taught me that life is short and you never know when your time is up so what legacy do you want to leave when you do go? It’s ok to be sad. It’s ok to be angry. It’s ok to want to hide away from the world BUT at the same time, it’s ok to be happy and it’s ok to laugh. Don’t ever forget to laugh! This is my life. It might not be perfect (in fact I know for sure it isn’t) but it is mine and mine alone. How I choose to live it, is completely up to me (obviously within the confines of the law!). I’m not saying there will be a movie made out of my life with Melissa McCarthy playing the main role, but I do have to remember that I have done some pretty cool things over the years. And my story is still being written. I love travelling but I hate it at the same time. I hate queues. I hate stupid people who don’t listen to simple instructions. I hate not being able to be as active as I would like. I hate that things cost soooo much money. BUT I love that I have the freedom to go places that I never thought I would go. I love that within 24 hours I can be on the other side of the world experiencing so much history. I come from such a young country and when I’m walking around ruins that are older than civilisation in my own country just blows my mind sometimes. 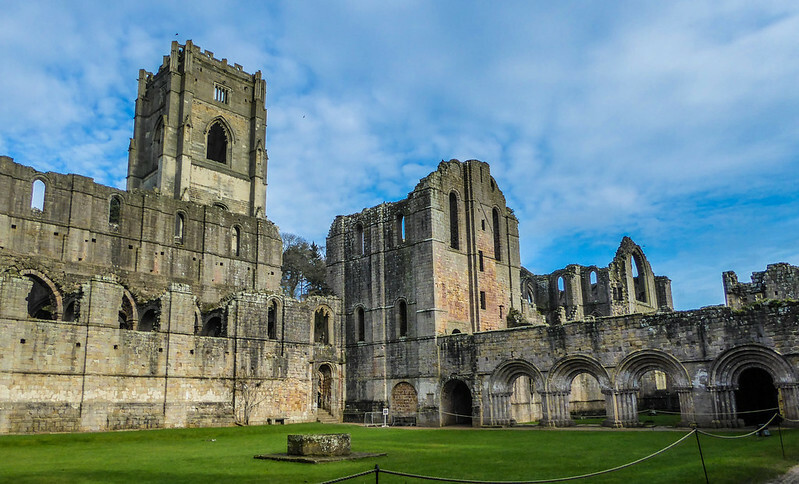 Fountains Abbey in England was founded in 1132. New Zealand was settled by the Polynesians (later known as the Maori people) in around 1320 – 200 years later! The grass is always greener on the other side.. or is it? You know, we often look at other people’s lives and wish we had what they had. People have said that to me – saying that because I don’t have kids or a partner then my life must be so easy. Yeah it’s great, except that the only person around to pay the bills is me! I know there are plenty of people out there who have families and are on one income, so I am definitely not saying I have it harder than them. It is all about perspective though. Just because my life looks ok on the outside, doesn’t mean it is. And that goes for anyone’s life. Ok to be fair, I am still learning this haha. I have tried to curb my personal FB time although in the last few days I have posted more than I have in a while. I do post to Instagram at least once a day – which also posts to Twitter & my travel page on FB. I have been using Instagram Stories quite a bit lately too – mostly to complain about the damn Brisbane Summer!! When it comes to Instagram, I have to remember that it’s not all about the ‘likes’ and that I need to make sure my content is good. I did a thing on Instagram stories recently where I posted photos for each year I’ve been with Instagram (since 2012). It was kind of eye-opening to me that 1) I used Instagram filters and boarders A LOT! and 2) I still haven’t found my thing.. you know the ‘thing‘ where you look at other people’s accounts and all the photos have the same theme. But then again, maybe that’s a good thing! It’s not all about the likes. It’s not all about the likes. This goes back to last year actually – when I was booking my trip to England for earlier this year. There was a great kerfuffle when I booked through an Online Travel Agency (OTA) and my return leg, the flights on different airlines didn’t leave much time for transit. After getting lots advice from everyone, many a sleepless night and lots of tears, I listened to my gut and cancelled everything so I could start again. And I instantly felt so much better for it. This goes back to the previous lesson too but this is more specifically when people say “why the hell would you want to go there?”. I have heard from many a people over the last 15 years of living in Brisbane that Toowoomba was a hole and not worth visiting at all. Well last year I finally decided that I was going to go to Toowoomba.. I have since been back twice. I love Toowoomba!! It is such a pretty city and the street art scene there is awesome. But I also love the wide open, tree-lined streets; the century old architecture; the funky shops and eateries; and the friendly locals. It really is a cool wee city. The lesson here is – don’t let other people’s prejudices define your choices. 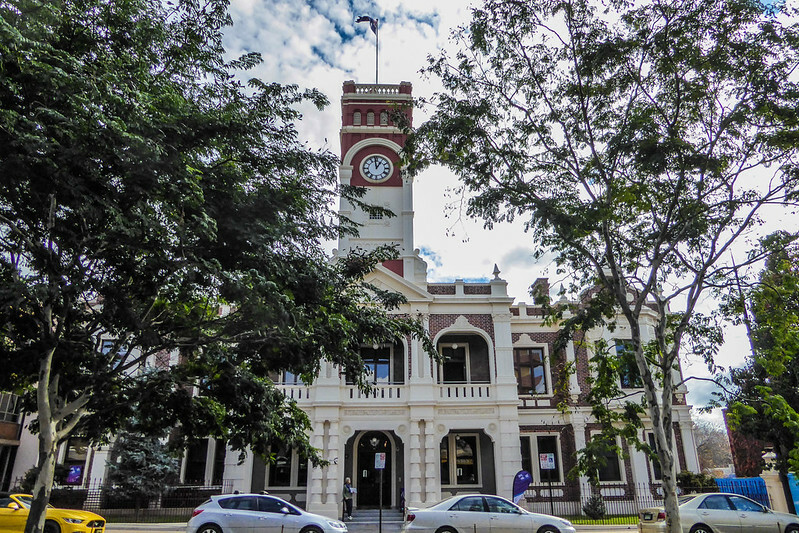 Toowoomba – oh so pretty! When my friend was diagnosed with cancer, it hit me really hard. Not least by the fact that she had worked in our office for over 25 years and had a lot of experience on me. As a result I knew that I would be taking over her role and had to learn a lot in a very short period of time as we didn’t have as much time as we thought. That is what Sharon said to me that day and it is something I have gone back to over and over again in the last 8 months. – You just never know!! That’s not to say the reason is a good one. 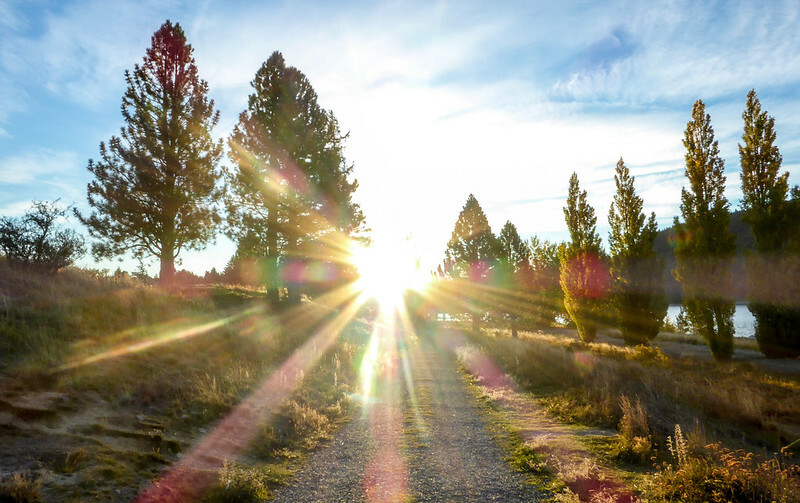 Maybe Sharon dying was the push I needed to open myself up to new opportunities at work – not that someone should die for that to happen but it did and it was up to me to decide what to do with the opportunity when it presented itself. The thing that happens isn’t always a good thing but there is a lesson in it anyway – you just have to be willing to learn. I learned to be more patient:) I hope you have a great 2018 full of travels and other things that make you happy! you can’t delete the extra archives?